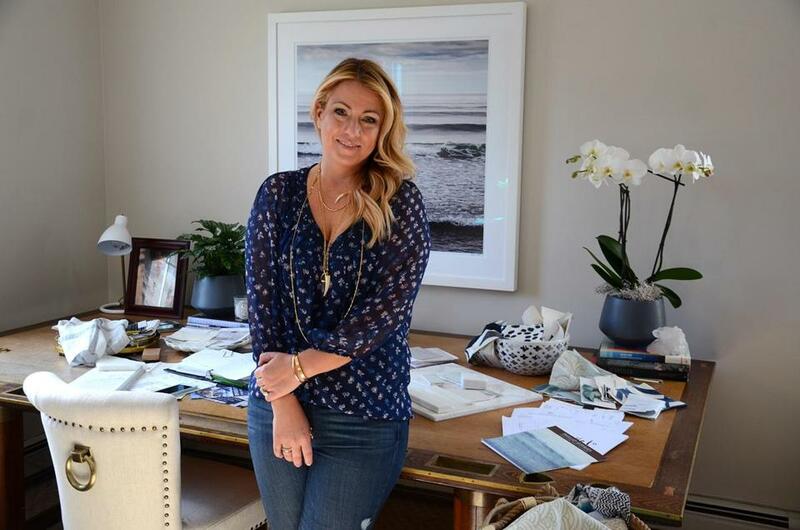 Maggie Jerde Joyce worked for 15 years with such premier interior designers in New York and London as Jed Johnson and David Collins before moving to Norwell with her husband and children and opening Maggie Jerde Design in 2009. The company is small, with herself and design associate Jamie Therrien doing work locally and as far away as Virginia. We spoke to Joyce for this story. Q. Did you always want to be a designer? A. I knew it was in my blood since I was little. When I was home sick from school, I’d put together collections of images I’d created, so there was never a question this is what I would do when I grew up. It’s always been around me; my late father was Jon Jerde, a well-known architect who did things like the Bellagio in Las Vegas. Q. Was he a big influence on your life? A. We are made up of so many people, but he was a huge portion; his old desk is my desk now. What I learned from him was his belief in cocreativity, not taking credit for everything, being open to working with everyone else and ending up with a stronger project. Q. What’s your process of working with clients? A. Before I meet with them, I’ll talk by phone to gauge their interests and needs. I use Pinterest to create a picture board with images of what they may or may not like. I tailor the process for each client and work very closely with them, getting an idea of their design sensitivity and steering them into the best version for them. By the end of all that consultation, I tell them I know them well enough to probably pick out their outfits. A. Seeing people end up with their dream house. I love when a young family comes in with a tiny budget and says this is all they can spend, and then working with them to make it happen. I love that everything is different; I don’t like my days to look the same. One of my first clients was a woman who came home and when she saw what I’d done, started crying. She had just found out she had cancer, and was so happy to come back to a beautiful house. There’s no better feeling than doing that for people.